Bosanquet, R. C. 1905/06a. "Laconia II. Excavations at Sparta, 1906. § 1. The season's work." Annual of the British School at Athens 12: 277-83. —. 1905/06b. "Laconia II. Excavations at Sparta, 1906. § 5. The sanctuary of Artemis Orthia." 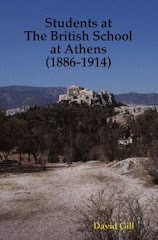 Annual of the British School at Athens 12: 303-17. —. 1905/06c. "Laconia II. Excavations at Sparta, 1906. § 7. The cult of Orthia as illustrated by the finds." Annual of the British School at Athens 12: 331-43. Dawkins, R. M. 1905/06. "Laconia II. Excavations at Sparta, 1906. § 6. Remains of the Archaic Greek period." Annual of the British School at Athens 12: 318-30. Dickins, G. 1905/06a. "Laconia II. Excavations at Sparta, 1906. § 4. The great altar near the Eurotas." Annual of the British School at Athens 12: 295-302. —. 1905/06b. "Laconia II. Excavations at Sparta, 1906. § 10. The theatre and adjoining area." Annual of the British School at Athens 12: 394-406. —. 1905/06c. "Laconia II. Excavations at Sparta, 1906. § 13. Topographical conclusions." 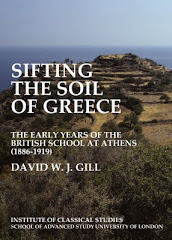 Annual of the British School at Athens 12: 431-39. Tillyard, H. J. W. 1905/06a. "Laconia II. Excavations at Sparta, 1906. § 9. Inscriptions from the Artemisium." 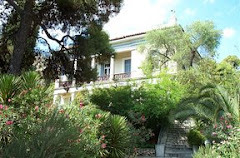 Annual of the British School at Athens 12: 351-93. —. 1905/06b. "Laconia II. Excavations at Sparta, 1906. § 14. Inscriptions from the altar, the acropolis, and other sites." Annual of the British School at Athens 12: 441-79. Traquair, R. 1905/06. "Laconia II. Excavations at Sparta, 1906. § 12. The Roman stoa and the later fortifications." Annual of the British School at Athens 12: 415-30. Wace, A. J. B. 1905/06a. "Laconia II. Excavations at Sparta, 1906. § 2. The city wall." Annual of the British School at Athens 12: 284-88. —. 1905/06b. "Laconia II. Excavations at Sparta, 1906. § 3. The heroön." Annual of the British School at Athens 12: 288-94. —. 1905/06c. "Laconia II. Excavations at Sparta, 1906. § 8. The stamped tiles." Annual of the British School at Athens 12: 344-50. —. 1905/06d. "Laconia II. Excavations at Sparta, 1906. § 11. The Roman baths (Arapissa)." Annual of the British School at Athens 12: 407-14.